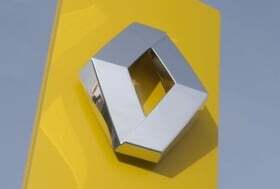 PARIS (Bloomberg) -- Renault SA will place emerging-market sales of budget cars at the center of a three-year plan to reach annual deliveries about 3 million and an operating margin of around 5 percent, a person with knowledge of the matter said. The strategy, which CEO Carlos Ghosn will present on Thursday along with the French carmaker’s full-year earnings, would involve ramping up overseas production of the entry model range derived from the no-frills Logan sedan, according to the person, who asked not to be identified because the plans have not yet been made public. The plan would be Ghosn’s second attempt to restore profitability at France’s No. 2 carmaker to a level last seen in 2004, when earnings before interest and taxes amounted to 5.2 percent of sales. Ghosn became CEO in 2005. The company is trimming domestic manufacturing capacity in response to stagnant western European car sales, while adding factories in Tangier, Morocco, and Chennai, India, to serve faster-growing markets. Renault said on Feb. 2 that it will avoid mass firings while reorganizing production in France to focus on pricier models, electric cars and batteries. The new targets will the first Renault has given to investors since the 2008 financial crisis, when Ghosn scrapped his “Commitment 2009” pledges to achieve a 6 percent operating margin and 3.33 million vehicle sales. Renault went on to record a 3.13 billion-euro ($4.3 billion) net loss while missing the delivery target by about 1 million cars. Renault said on Jan. 31 that revenue rose 16 percent last year to about 39 billion euros, helped by government sales incentives in Europe and recovering demand for cars elsewhere. The operating margin was 2.8 percent, compared with a negative 1.2 percent in 2009. The automaker is at the center of an industrial-espionage investigation after ousting three senior executives on Jan. 3 and filing a criminal complaint with French prosecutors alleging theft and breach of trust. The three executives, including long- term product development chief Michel Balthazard, have denied accusations that they sold electric-car secrets, contested their dismissals and filed defamation claims.